This looks amazing… A must try. Great. We were going to do the longer baking bread, which is amazing, but we’re excited to have a quicker option today. My math skills are challenged at the moment, so could you tell us the total time for this guy? 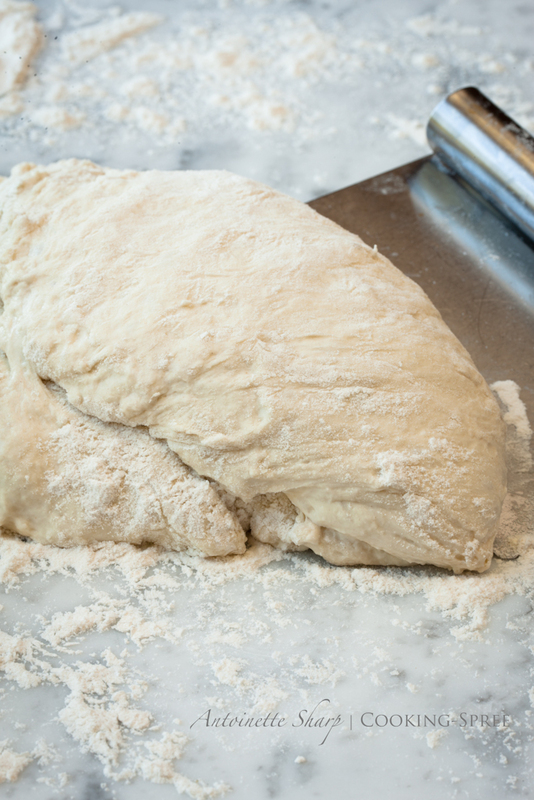 Can you tell we’re craving good bread – now?! 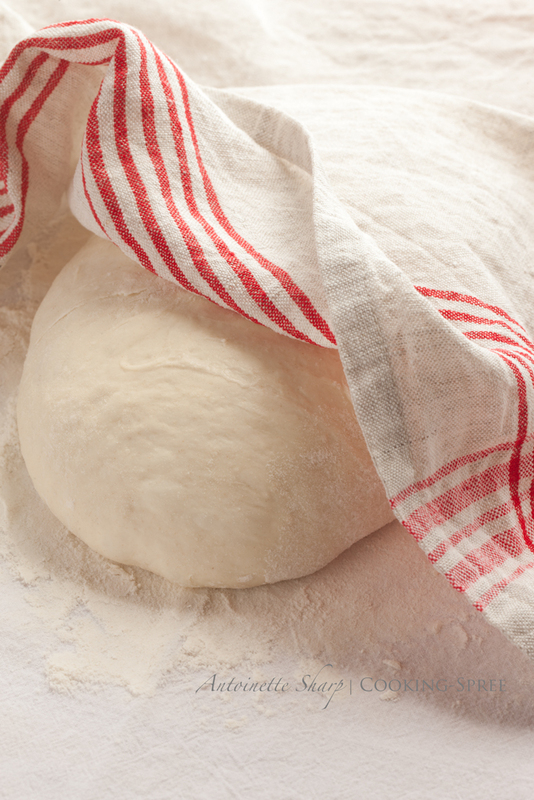 5 minutes to measure ingredients, 10 minutes to knead. One hour and a half to rise. Deflate, Form boule, another 20 minutes. Rise one hour. Bake approx. 45 minutes. Just under 4 hours is what I get. Somebody check me! YUMMY!!! Now I want a FRESH loaf of bread! It truly does look amazing. I’m always loathed to buy good bread when I can bake it. But, I currently can’t find the time. I’ll have to MAKE myself do it. The photography is amazing, as usual! Sometimes if I have a bunch of laundry, or am doing some cleaning and know I’ll be around the house a while, it’s especially easy to get the bread made. Thanks, always, for the compliments, Frugal! Very kind! I’ve never heard of doing this with the dutch oven cold. I do the pre-heated dutch oven method often. thanks for the tip! Love having options, don’t we? This is a good one, with good results. At what speed should the mixer be set when kneading with the mixer/bread hook set up? “0” being the slowest, “10” the fastest. I appreciate very much your taking the time to answer my question! But HURRY, I am running to Freddie’s to get a scale and bread flour!! Good question! I’d say probably speed 3 or 4 will get the job done in about 10 minutes, using bread hook. If it doesn’t throw your machine all over the counter, you could see what 5 does. Just like driving a car and listening for the sounds the engine makes telling you when to change gears, that’s kind of how I operate my mixer. 🙂 So glad to help Don! let me know how it goes! I’ve never tried using a dutch oven with bread before! How intriguing. We only buy bread off the day-old rack and that’s just for bread crumbs or croutons. Since I always make my ours, we do save money. We found that out the hard way when our tomatoes came in over the summer and one weeknight we had gazpacho and the next bruschetta. Katherine spent $5 on a loaf of ciabatta and $3.50 on a French loaf because I didn’t have time to do a starter after work. Hmm, that was a long story. I love this recipe and that last photo is great. Liked hearing your story Greg, love that you make your own bread (including starter) and thank you for the nice words! Must be something in the air. I had planned on baking a loaf of bread today but decided to hold off till tomorrow instead. Having mistakenly killed off my sourdough starter in a warming oven (Yikes!) last month, this will be my first attempt with the new starter. If my loaf will come out of the Dutch oven looking half as good as yours, I’ll consider it a huge succes. Fingers crossed! Fingers crossed John! Hope to see a portrait of your loaf! Sourdough starter(s), hm? Sounds like a good blog right there…nmm! Spree… I just love your blog. This bread recipe looks so easy to make and it’s only because you inspire confidence in your readers:) The Dutch Oven idea has been bantered about a bit at orchestra so I think it might just be time for me to invest in one. What’s your favorite size for bread?? Like the one in the photo?? I can hardly wait to try this out! 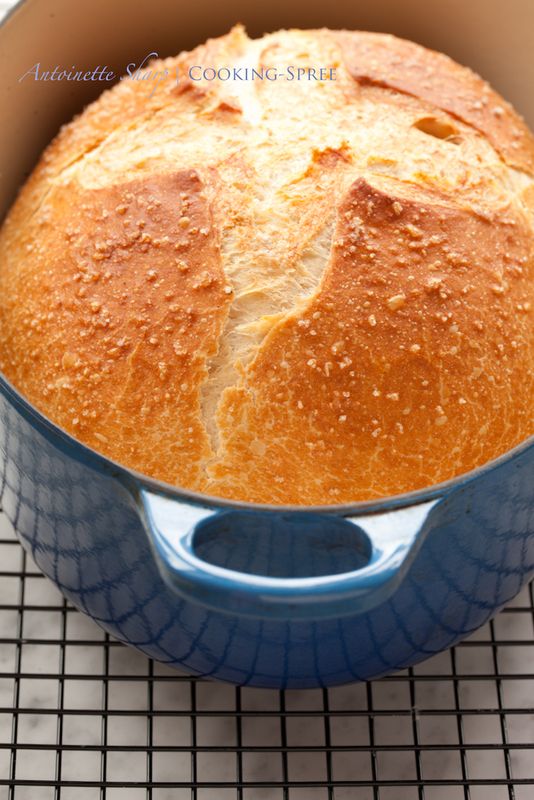 Such a beautiful loaf – have never cooked mine in a Dutch oven and am looking forward to giving this a go! First Chica Andaluza’s lemon tree and now Lesley’s sourdough starter! Two big envies in less than a week! 🙂 I guess I’d never considered that you can store a starter in the freezer – I love a good sourdough too and now you’ve got me thinking how good that would be baked in the Dutch oven. I’ll get to work on that! Thanks, Lesley. That crust looks good! Photography lovely as usual. I think I’ll keep an eye for a dutch oven. I meant to say ‘keep an eye out’!